New boys BLU are prepared to take the US and hopefully the Global mobile space by force. Their strategy is targeting the very vast and uncharted waters of the mid ranged mobile section and flushes out the need of Flagship devices. The BLU Vivo 5R is a clear testament to that philosophy as the smartphone satisfies the primary consumer without draining their pockets. The Vivo 5R sports the now conventional full metal unibody design that has become increasingly popular amongst Android phone manufacturers. Both the volume and power keys are all on the right side of the phone, while the front features the standard capacitive navigation key shapes. 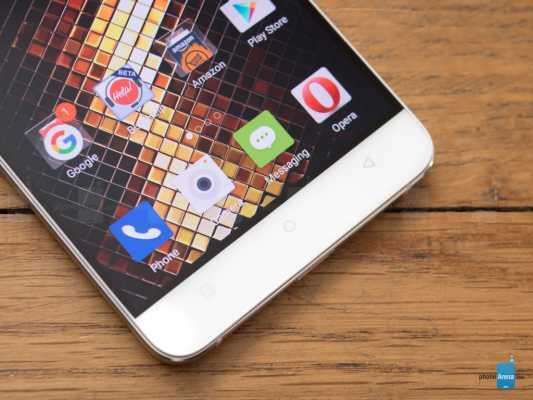 On its back, Vivo 5R features a fingerprint scanner just below the camera module which is placed in the top centre of the device; the speaker grills are also located on the back of the device. The 5R weighs 166g and is 8.6mm thick. The display is a 5.5 inch 1080 x 1920 pixels (401 PPI pixel density) Full HD display that takes about 71.4% of the devices total build; The bezels are quite thin and 2D architecture makes for a nice smooth miniature curve where the screen meets the bezel. 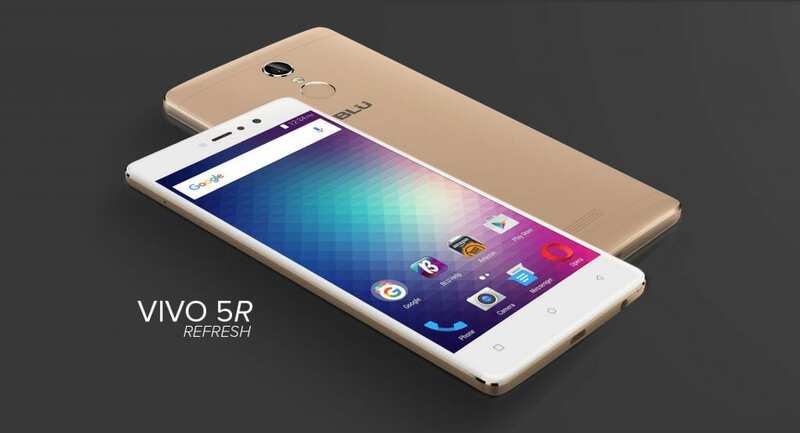 The BLU Vivo 5R runs Android v6.0 Marshmallow out of the box with the possibility of Android v7.0 Nougat update. While the device might come with some initial bloatware, the device runs stock Android. The Chipset on this device may not be the best in the market, but will certainly get the job done albeit with a few glitches and hiccups. An Octa-core 1.3 GHz Cortex-A53 Mediatek MT6753 will run the device paired with 3Gb of RAM. Storage options include 32 GB and a microSD card expansion slot, up to 256 GB via the SIM 2 card slot. BLU Vivo 5R sports a 13 MP, f/2.0 aperture camera with phase detection autofocus and LED flash that should produce some clear photos for the picture lovers along features such as a 1/3″ sensor size, 1.12 µm pixel size, geo-tagging, touch focus, face detection, panorama and HDR users should have a lot of fun with the camera on the Vivo 5R. Shooting videos should be a breeze as the camera shoots video in 1080p@30fps. The selfie module is an 8 MP camera also with LED flash. A Non-removable Li-Po 3150 mAh battery should get users through a full day, and a Quick charge should get your device back up in no time so you never miss anything on your favourite apps and websites. GSM, HSPA, LTE, Wi-Fi 802.11 b/g/n, Wi-Fi Direct, hotspot and BLUetooth v4.0, A2DP are fully supported by the device. The device is a dual SIM, but the SIM 2 slot also acts as SD card slot. This means user need to forgo a SIM space for SD card to gain additional storage. The device incorporates various hardware features such as accelerometer, proximity and fingerprint sensors. The Vivo 5R is available in GOLD and GREY and sells for $238.99 ( NGN 75,341).